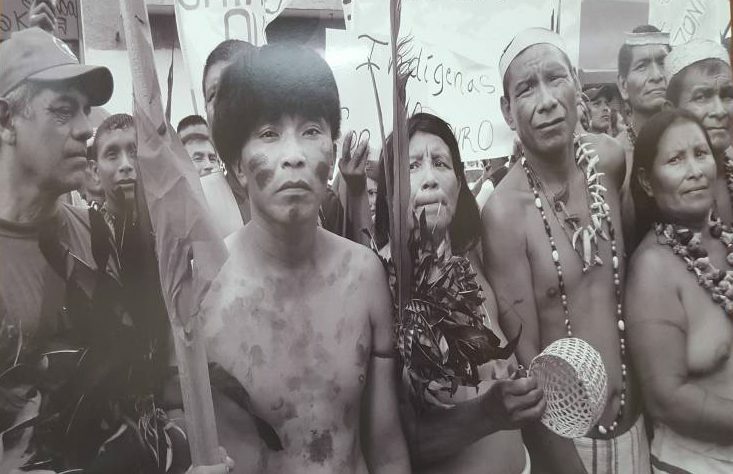 To commemorate the Day of Indigenous Resistance, the photography exhibition “Homeland for the Indians” by Anthropologist, Archeologist, and Photographer Lelia Delagado, was presented at the Venezuelan Institute for Culture and Cooperation, last Wednesday, 12 October. 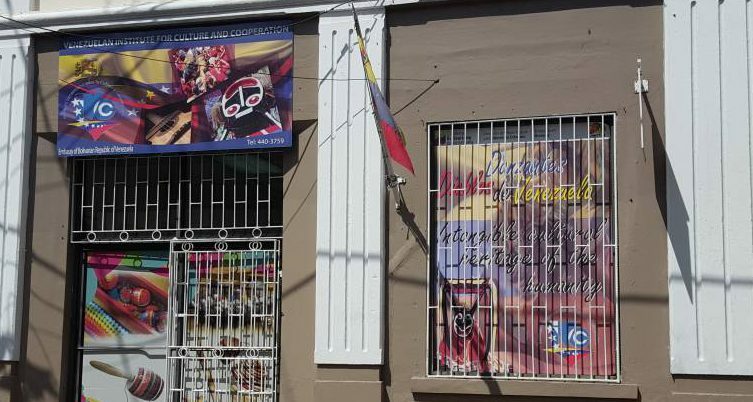 Also celebrated on that day, was the 34th Anniversary of the Venezuelan Institute in Grenada, which year after year offers free services to people who want to study Spanish as a second language, and also serves as the mirror of the socio-cultural image of Venezuela. The activity began with a musical presentation by the Group Kapad, who with their drums entertained those who were present, at the same time rendering tribute to our indigenous ancestors. The Ambassador, Jorge Guerrero Veloz spoke to the onlookers about the progressive changes that are being made at the Institute, explaining that it is no longer only a place where people can learn Spanish as a second language, but a space for cultural exchange between Grenada and Venezuela, and so we will continue working every day towards this obligation. He then shared that since October 2002, under the leadership and by command of Commander Hugo Chávez, the people of Venezuela commemorate 12 October as the Day of Indigenous Resistance, which was known before as ‘The day of Race’ where tribute was given to Christopher Columbus and other invaders who claimed to have discovered America. The Day of Indigenous Resistance broke away with that negative history. He made mention that in Venezuela 43 indigenous communities of Indigenous people exist, and that in the these last 17 years of the revolution they have been vindicating their rights, guaranteeing their social, political and cultural rights that are seen in the creation of the Ministry of Popular Power for the Indigenous People, the Guaicaipuro Mission, the Presidential Council for the indigenous people, the recognition of the Great Cacique Guaicaipuro, national hero and a symbol of resistance and struggle among other things. Finally, the Ambassador presented the exhibition “Homeland for the Indians” that was the permanent call by Commander Hugo Chávez, which expressed his protagonist role and participation in the political, cultural and social life of Venezuela, collectively constructing their own destiny as an original people. To end the activity, certificates were awarded to students who successfully completed different levels of their Spanish courses at the Institute. The celebration of the 34th Anniversary will continue with guided visits to different schools and institutions in Grenada as well as radio and television programmes.